By Cynthia Brando with photos courtesy of Sarah. I discovered Sarah through her Instagram page, and was immediately taken with her two toned musical ink drawings, with tasteful accents of bright red roses in the tattoo flash art style. 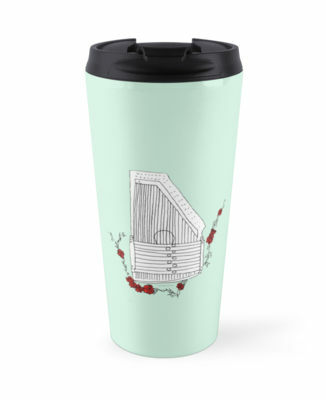 She turns those drawings into a vast array of merchandise, from bags, mugs, pillows, and countless other useful items. She also has a large variety of other non-musical drawings she features on her merchandise, and is a professional photographer, a musician and works at a music library. Sarah talks to Music Emerging about her art, music and library work. "I have considered myself a folkie at heart for a very long time. Any music I create, I consider to be "folk music" though I'll admit the definition of that genre is highly disputed. I have played guitar since I was little. My dad is a jazz guitarist, so I was trained in jazz guitar, but I strayed from that when I discovered folk music and began writing my own folky tunes. Right now the instrument that has my heart is the autoharp. I saw one in a music store in Manchester, NH and I fell in love. I bought one off Craigslist the following week. I have a copy of Alan Lomax's Folk Songs of North America, and I love taking songs from that and making my own autoharp arrangements. The autoharp appeals to me particularly because it's simple to pick up, but tricky to master. Listen to recordings of Sarah's autoharp music. The greatest influences on the music I play are folk revival artists Pete Seeger, Bob Dylan, Mimi & Richard Farina, and Joan Baez. But, I listen to a variety of music. 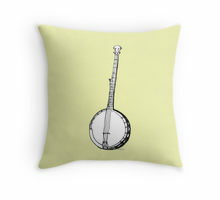 I have a strong connection to a variety of roots music - country/western, rockabilly, and a wide variety of vernacular music. It might not sound related, but I'm listening to a lot of Social Distortion right now. They're a band I loved when I was in high school and was really into punk. But, as I got more into folk music and roots music I saw all the folk/country influences in their sound and got into Mike Ness's solo music. Another artist I listen to a lot of is Brown Bird. They're from the east coast - a mind-blowing folk duo with so much sincerity. They just released their last album. The leader of the band, Dave Lamb, passed away from leukemia at 36. His wife continues to be the spokeswoman for the group and travel with country/rock trio The Devil Makes Three. I so admire how Brown Bird has told their personal stories through music. Oh! And I can't forget Pete Seeger. My favorite quote of all time is from his testimony to the House Un-American Activities Committee: "I have never refused to sing for anybody." He created and sang rallying, cross-cultural anthems. You can tell when you listen to a Pete Seeger recording that he truly believed in people, and I love that. I love working in a music library, and I feel so lucky to have my dream job. I love poking through the score stacks. We have some great collections of American folk songs that are really fun to browse through. I have a tendency to hoard them at my desk and look through them in my spare time. It's also through the library where I work that I discovered Dena Epstein, the librarian and musicologist who re-wrote the history of the banjo. She's another one of my role models. I started doing these drawings just for fun. 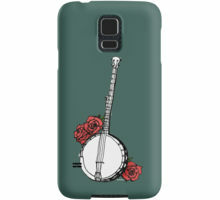 I wanted to create folk music-related designs that I would want to wear, that symbolized my interests. I am also a photographer, and I love using bursts of red in my photos - elements of surprise or intrigue. I suppose the same idea came to mind with these drawings. I wanted to throw a splash of red into an otherwise plain sketch, drained of color. I hoped that by adding the roses they would look a bit like tattoo line art. You often see red roses in counterculture tattoo art - especially in rockabilly, punk, and hipster culture. I wanted to incorporate those roses as an element of counterculture symbolism." Sarah's music merchandise: Check out her huge online store to see more and purchase a special gift. Check out more of Sarah's work on her website and instagram.